My next challenge was making my first baby quilt for one of our new bosses at work, Of course I just thought it would be fun and I really wanted to give her something "original and creative." 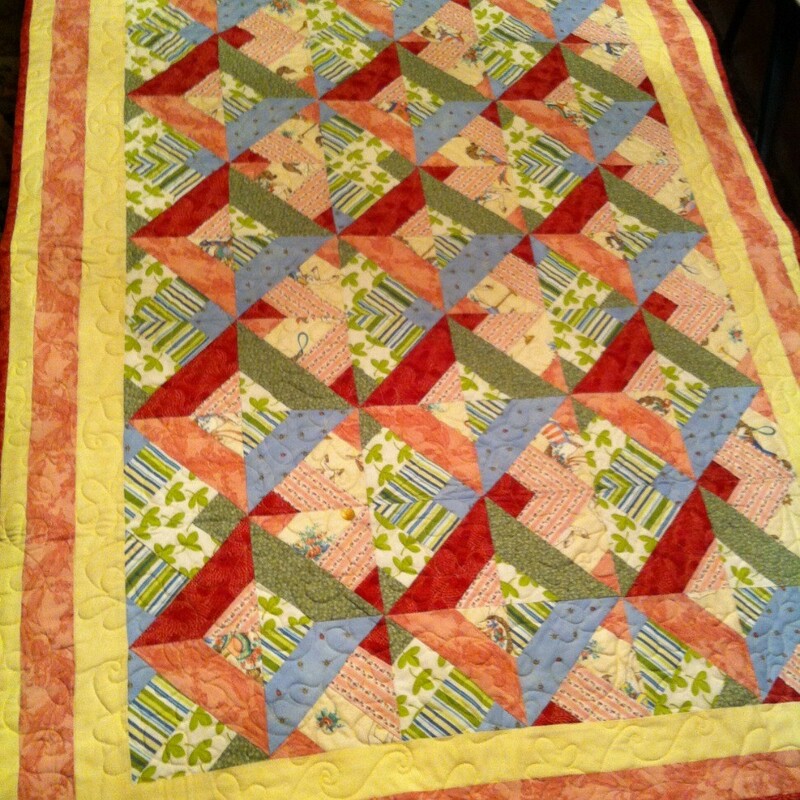 I just had to figure out what scraps, what pattern and how to incorporate yellow, a color she loved. The results turned out very well and mother and daughter loved it too.